Lisa Johnson's on board today to show you how to turn your dye inked images into watercolor masterpieces. It's as easy as…well…just adding water! Click play to learn more. –A new Make It Monday Challenge & video will go up every Monday morning at 9am EST. –Create a project utilizing your take on the challenge. Your project must use at least one Papertrey product and feature this watercolor technique. –You will have until 7am, Monday, October 17th, to add your link to the list to be eligible to win. And you can enter as many times as you like. –We will be tweeting and posting on our Facebook page every night (between 5-9pm EST) highlighting a Featured Project. These tweets/Facebook postings will just be a shout-out regarding projects that caught our eye. The tweets/Facebook postings no longer have any special merit regarding the actual contest. –One randomly selected winner will be chosen from ALL the entries on Monday, October 17th, after 7am. The winner will be posted here on this blog post, on Twitter and Facebook. 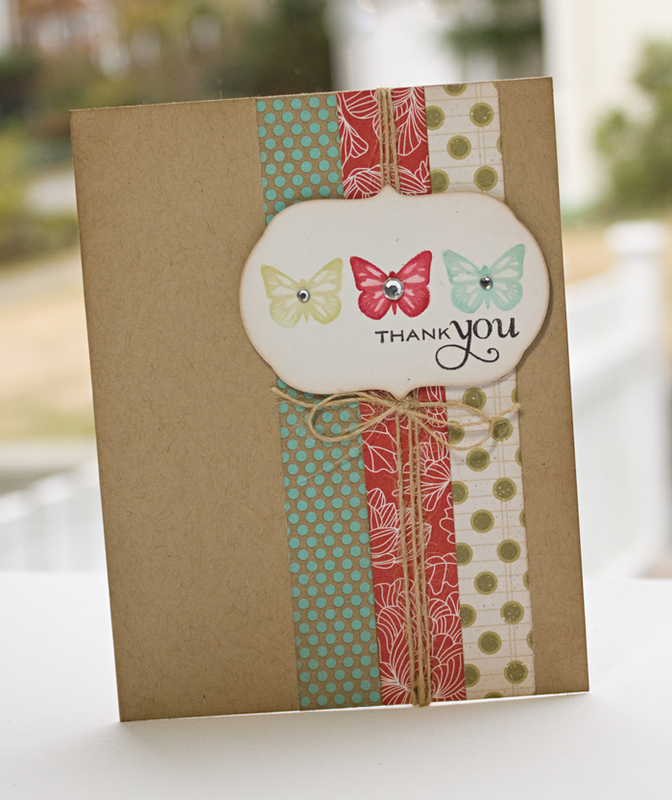 The randomly selected winner will get to select a FREE Papertrey stamp set of their choice! Editted to add the winner! Jen S., #39, congratulations on being this week's random winner for Make It Monday! Please email customerservice[at]papertreyink[dot]com with your stamp set choice and mailing information. Thank you to all the participants – we loved seeing your take on the challenge! Gorgeous Lisa thank you so much for this great tutorial! it look ver nice))) like it! Great tutorial! I especially love that you added some of the thinking behind the design (like using red pattern paper behind the red butterfly but using the green behind the blue, etc.). I was wondering if for the Make it Mondays it would be possible to list the products used. I don’t always catch what was used, especially if I’m not familiar with that particular product. I can’t always watch with the volume up. Thanks. Don’t know if anybody else has that problem. oh this is so so pretty! 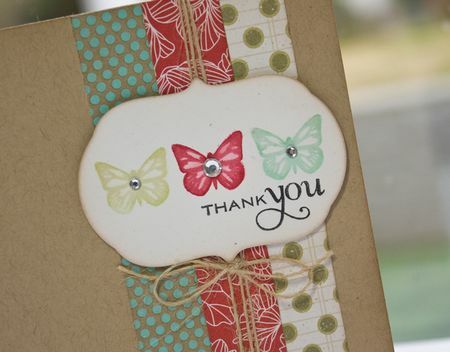 Beautiful and simple card, Lisa! You really put a lot of thought behind the design. Also, thanks for teaching me a new technique! Love the card Lisa! I want to try this today! Really lovely ! I enjoyed the video and the tips.